The more I visit book stores and peruse instagram the more I find cool books. This book we discovered at our local bookstore one evening when we were on a date. Full disclosure here, I don’t have any tattoos so it wasn’t a perfect match but I do appreciate a good tattoo. 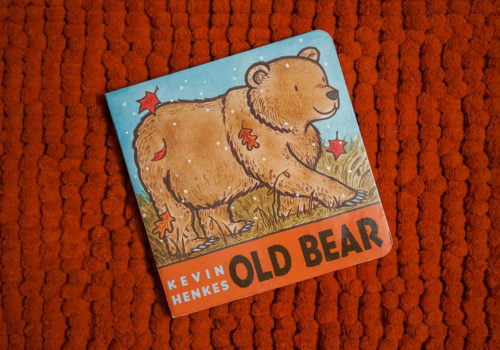 Plus, we have a lot of friends who this book is perfect for. 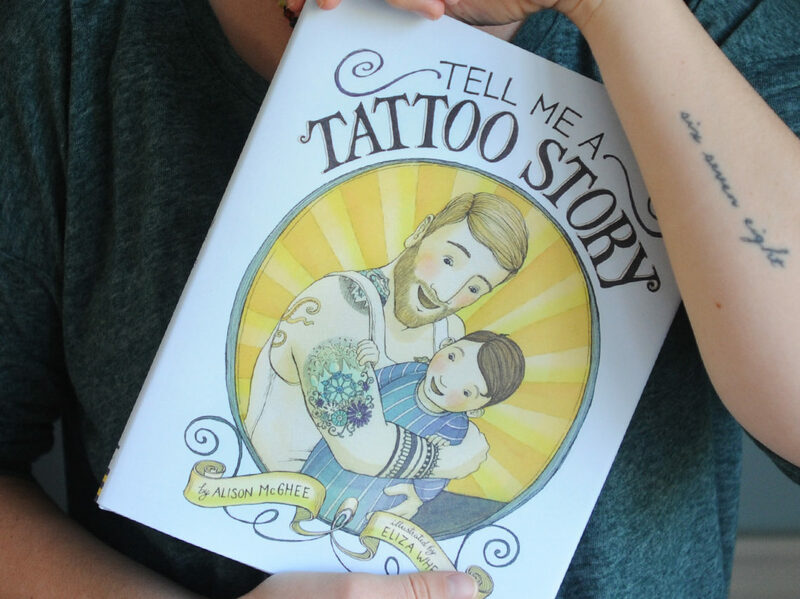 Anyway this wonderfully written and illustrated book walks through the course of a day (probably many different days) of a son asking his dad what his tattoos meant. I don’t want to spoil all the good stuff but just be ready to have some tissues handy your first time through if you are an emotional person. 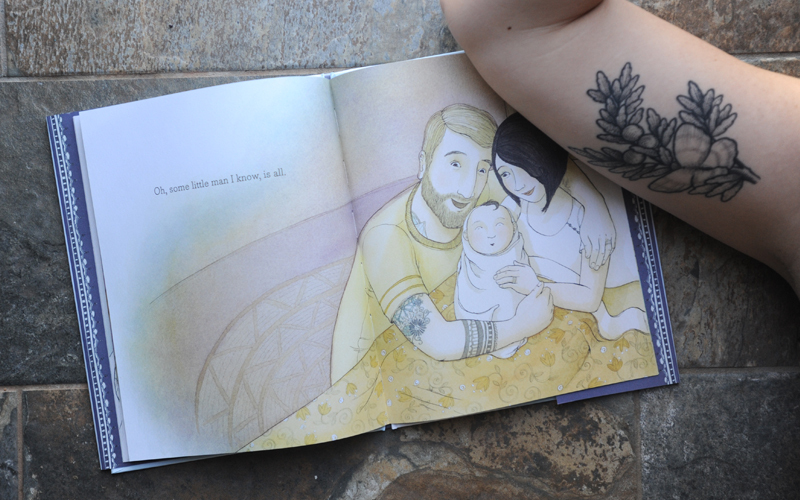 For our family, art has a high place of importance and tattoos are just one form of art. So we appreciate the thought and artistry that goes into each piece. 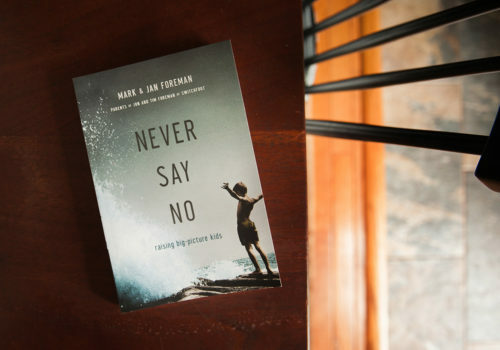 We no longer have a copy of this book because we gave it to a good friend who could closer relate to the full story. 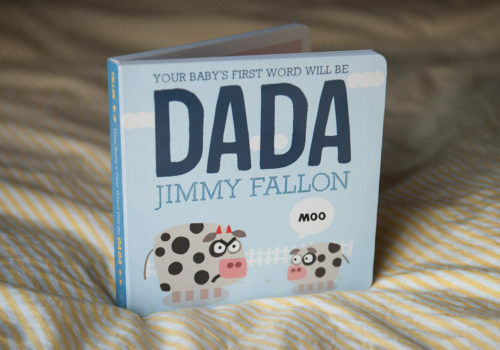 What a great idea and wonderful execution for a children’s book. Hardcover with slip jacket. 32 pages. The illustration style is an imperfect pen and watercolor approach. Each spread features either minimal or maximum detail and yet the whole book flows nicely. The colors are beautifully vibrant and muted and each image flows nicely into the next. What is incredible is that the book could almost be read without the words because the illustrations so nicely display the story. A very simple serif font that is at a size that is easy to read but doesn’t interfere with the art. Sometimes the words get a little lost but can easily be followed as they stay in the same spot as you turn the page. One: the father. He speaks both what the son is thinking and the explanation of the tattoos throughout. Books about arts gives a picture of a certain event or paint a picture of a particular situation.